This year upon return from my vacation I was immediately thrown back into photographing sports, and again I remembered how refreshing it is to start the weekend with a friday night under the lights smelling freshly cut grass and watching football. 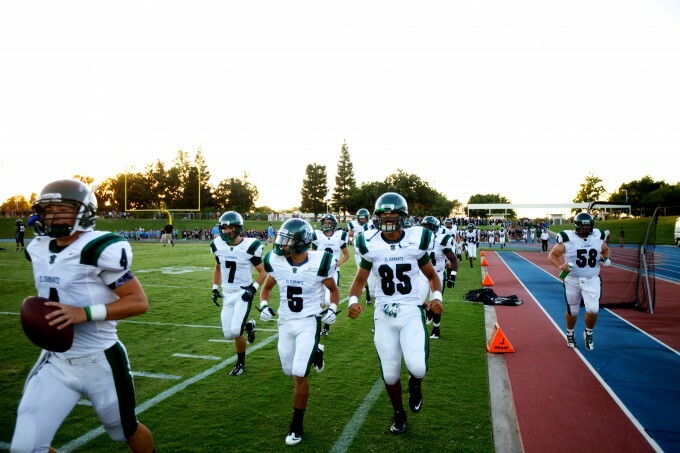 In their game against the Clovis North Bronco’s the El Diamante Miners came out after a winning JV game strong, ready to fight for each touchdown, even as a visiting team there was quite a crowd gathered on the visiting side. Photographs taken at the football game can be found by clicking this link.